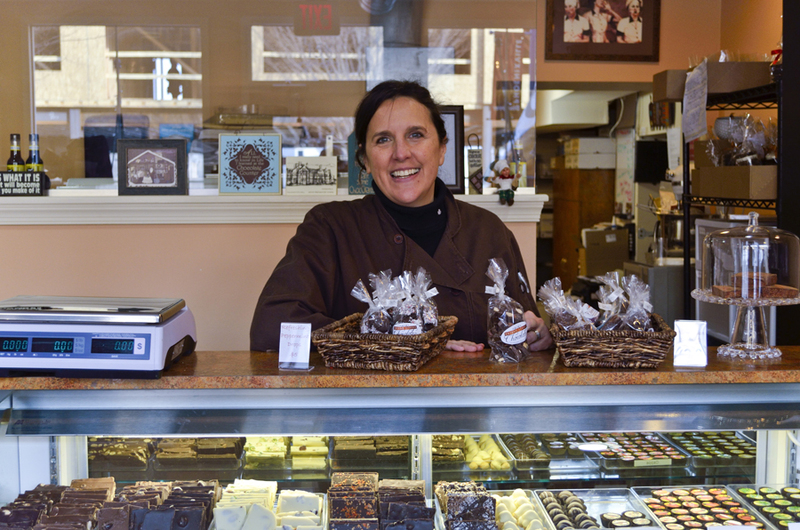 Gail Warner, chocolatier at Bridge Street Chocolates, cites two inspirations for her unusual career: Lucille Ball and her father. The nudge that Lucille Ball provided was courtesy of the episode of her classic sitcom in which Lucy tried frantically to keep up with an out of control conveyor belt at a candy factory. 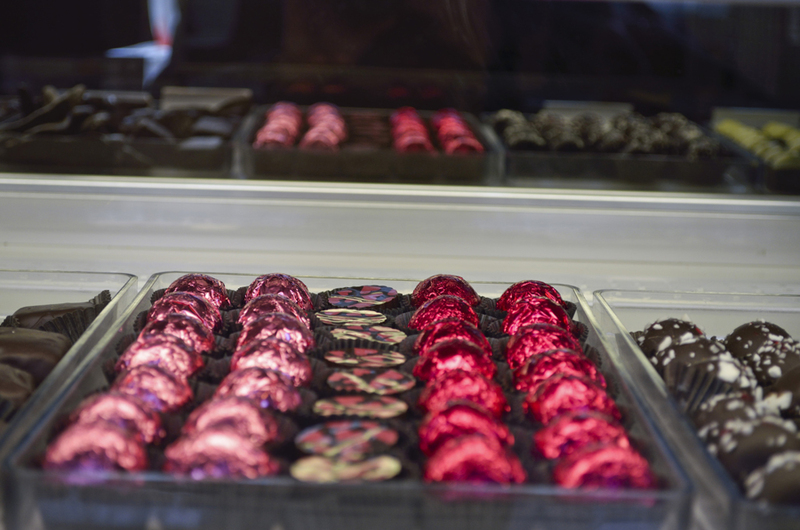 It instilled in Warner a desire to someday own a chocolate shop. Her father&apos;s passing at age 48 led her to act on that goal at 47½, as assurance that she would reach her dream before it was too late. 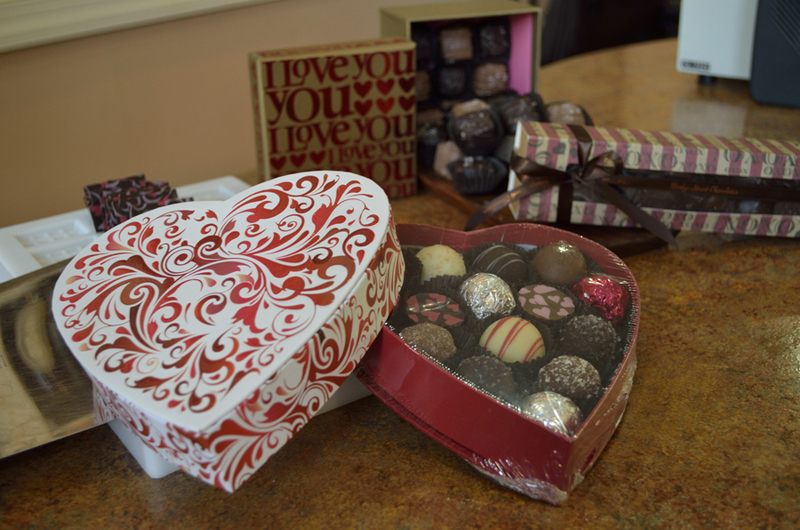 What resulted was the 2010 opening of Bridge Street Chocolates, an inviting boutique in which the scent of rich cocoa envelopes visitors from the moment they open the door. "I had a corporate career in compliance and unclaimed property law," Warner says. "I gave all that up - my friends thought I was crazy - and went to Chocolate Academy in Chicago, a formal training program for chocolate artisans, pastry chefs, confectioners, bakers and caterers. I had no idea what I was doing. But I thought I would figure it out later. I was smart enough to bring a friend along with me. I thought that whatever I missed in the lectures, she would catch, and vice-versa." 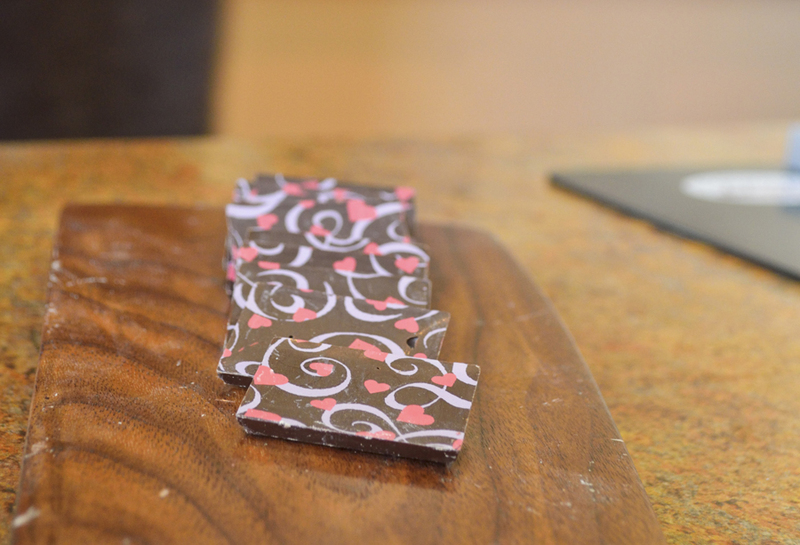 Warner didn&apos;t miss a trick, learning the artistry, chemistry and flavor profiling of various chocolates and discerning on her own how to combine flavors and textures in interesting ways. "I have always loved chocolate," she admits. "But I knew I didn&apos;t want to open a candy store. I wanted to open a chocolate shop. I wanted to offer something gourmet and authentic." The business has grown significantly. Whereas Warner was more or less alone in manning the storefront, she now employs seven to eight part-timers. The additional hands are crucial to maintaining her customer base, comprised of walk-in traffic, brides and grooms, corporate gift givers and shipping requests. Now, her attention shifts toward Valentine&apos;s Day, where she creates products using red velvet and champagne. The chocolate covered pretzels get red striping, and little hearts with caramel centers are given a dusting of sea salt. Her packaging features a number of sizes of hearts and red boxes with loving messages on them. The reputation being built at Bridge Street Chocolates has led to its invitation to a number of gourmet foodie events, including wine pairings. "Eating chocolate is a lot like sampling a wine," Warner points out. "First you take the time to examine the look of it; there is a shine to high-quality chocolate that you want to see. Then you want to bend or bite it. It&apos;s got to snap. You need to hear or feel that crunch. And last, you need to savor it. Let it melt. Open yourself to the whole experience. It should hit the same notes on your tongue that wine does." With her trained palate, Warner maintains a rather low opinion of commercial-grade chocolate available in convenience story candy bar racks. "Dove is about the best out there. Other than that..." She wrinkles her nose. I ask Warner if she ever tires of the scent that wafts throughout the property. "I don&apos;t notice it after a while," she replies. "But if I&apos;m gone from the store for a week or so, it hits me all over again." A set of customers comes in and begins peering through the glass cases, encountering one sweet treasure after another. Bark that has been blended with strawberries. Or wasabi peas. Truffles of all kinds: white, dark, milk, vegan, gluten-free, soy-free. Delicate chocolate cups filled with peanut butter, whose tops are swirled artistically. Warner attends to her customers. And behind her, on the wall over the doorway to the back of the store, hangs a photo of Lucille Ball. Her cheeks are stuffed with goo, but she seems to smile approvingly, inspiring Warner to even sweeter heights. With an accent on luxury, Bridge Street Chocolates evokes the notion of relaxing in a swanky hotel suite and enjoying room service. For exactly that kind of decadent experience, take a look at the winter packages available on our website. Choosing one is not like the proverbial box of chocolates because guests know exactly what they&apos;re going to get: a terrific overnight.